Founded in 1978, the Alaska Wildlife Alliance is the only group in Alaska solely dedicated to the protection of Alaska’s wildlife. Our mission is the protection of Alaska’s natural wildlife for its intrinsic value as well as for the benefit of present and future generations. The Alliance is your voice for promoting an ecosystem approach to wildlife management that represents the non-consumptive values of wildlife. AWA was founded by Alaskans and depends on the grassroots support and activism of its members. The National Wolfwatcher Coalition is deeply honored and grateful to be awarded a grant by the American Society for the Prevention of Cruelty to Animals (the ASPCA). Nominated by Wolfwatcher, Ashley Chengerian, the grant was used to update our website, in particular the Junior Wolfwatcher pages. Bob Landis is an incredible wildlife filmmaker and his documentaries are unparalleled. Follow the link below provided by Wolftracker(Nathan Varley and Linda Thurston) to see Bob’s wonderful and timeless work. He is currently working on projects focusing on wolves, coyotes, lynx and otter. The California Wolf Center is a 501(c)(3) non-profit wildlife education center committed to increasing public awareness and understanding of the importance of all wildlife by focusing on the history, biology, behavior, and ecology of the gray wolf (Canis lupus). This is accomplished by offering engaging educational presentations, participating in conservations programs, and hosting and funding research on both captive and free-ranging wolves. 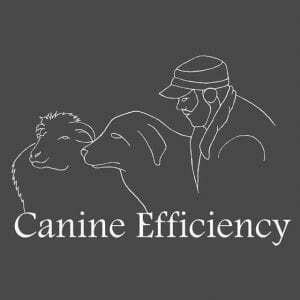 Canine Efficiency is an initiative of Ray Dorgelo. 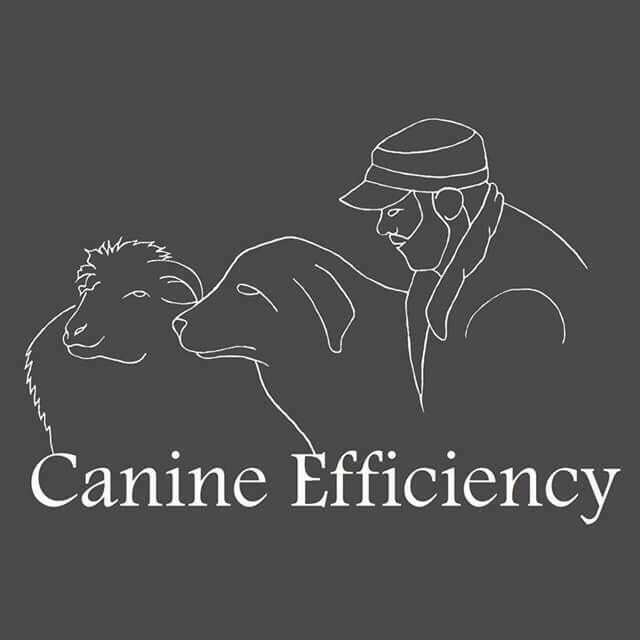 Canine Efficiency, specifically emphasizes effective, non lethal conflict prevention between predators and humans through the correct use of good livestock guard dogs (LGDs). …is a site that invites research, commentary, point/counterpoint on the suite of native animals(predator and prey) that inhabited The Americas circa 1500-at the initial point of European exploration and subsequent colonization. Landscape ecology, journal accounts of explorers and frontiersmen, genetic evaluations of museum animals, peer reviewed 20th and 21st century research on various aspects of our “Wild America” as well as subjective commentary from expert and layman alike. All of the above being revealed and discussed with the underlying goal of one day seeing our Continent rewilded…..Where big enough swaths of open space exist with connective corridors to other large forest, meadow, mountain, valley, prairie, desert and chaparrel wildlands…..Thereby enabling all of our historic fauna, including man, to live in a sustainable and healthy environment. Join Rick Merril on this informative and in-depth blog about current issues our wildlife face today. Defenders and many other conservation organizations have been working tirelessly on wolf conservation in North America from aerial hunting in Alaska to restoration efforts in the lower 48 States. Wolves are an integral part of an ecosystem as a top tier predator and Defenders will continue to make sure this iconic symbol of America always has a place here. Non-profit environmental law firm dedicated to protecting the natural environment, especially in the American West. Includes policy and legislation … Great work for the continued protection of wildlife! Why Horsefeathers you may ask? My nickname growing up was Horsehead (rhymes with Orsted) and Feathers is for our beloved, Marley. My photography is in honor of our daughter who taught me love and beauty. photographer and photojournalist who specializes in landscape, wildlife and outdoor photography. Brad is also a poet and a writer. Brad has honed his skills and his desire for telling a story through photographs over the past 20 years. Having spent years on the road with his camera and his German Shepherd, he has developed a deep appreciation for natural landscapes and wildlife. Brad currently resides in Yellowstone National Park with his wife, two daughters and two dogs. All Horsefeather’s images have not been post processed with Photoshop but appear as the artist saw them. The Humane Society of the United States is the nation’s largest and most effective animal protection organization—backed by 11 million Americans, or one in every 28. Established in 1954, The HSUS seeks a humane and sustainable world for all animals—a world that will also benefit people. Most of my work is wildlife. Although I do other genres. My preference is North American predators. The favorite being gray wolves. My love for wolves goes back to when I was a boy, I have always found them facinating. Having shot at various locations, I have found the choice location for wolves, grizzlies, and other large animals is Yellowstone. Keep Michigan Wolves Protected is a coalition of conservation groups, animal welfare organizations, Native American tribes, wildlife scientists, veterinarians, hunters, farmers, and everyday Michigan citizens working to protect Michigan’s fragile wolf population. The Maine Wolf Coalition is dedicated in its efforts to return the Eastern gray wolf back into Maine and the northeast habitat. Please support their efforts by visiting their website. The return of the wolf to the Northeast will reflect a more fully functional and wild ecosystem in the Northeast. Considering the complexities of the debate, the Northeast Wolf Coalition is a working group of partner organizations, scientific mentors and advisers who collaborate on the critical issues that relate to the return of the wolf to the Northeast. Founded in 1974, Oregon Wild works to protect and restore Oregon’s wildlands, wildlife and waters as an enduring legacy for all Oregonians. Highly recommended by NWC for their work with wolves and their habitat. Pacific Wild is a conservation voice dedicated to ensuring that the Great Bear Rainforest remains one of the planet’s greatest cradles of biodiversity. This is an excellent website devoted to the protection of British Columbia, and the “last wild wolves”, grizzly bears, and other wildlife that make their home there. The Southern Rocky Mountains need wolves! Successfully restoring wolves to their ecological role in the Southern Rocky Mountains [a vast region that includes most of western Colorado and northwestern New Mexico hinges on you and your fellow citizens becoming engaged in the issue. Our vision of wolves roaming the hunting grounds of their ancestors in the Southern Rockies can’t succeed without your involvement and energy. A site dedicated to banning traps on public lands in New Mexico. Also a link to their Facebook site. Very important work by very dedicated advocates! Research and educational program at Oregon State University with the purpose of investigating the role of predators in structuring ecological communities. This program puts special emphasis on the role of potential keystone species in top-down community regulation, with linkages to biodiversity via trophic cascades. On the website under this link is a great link covering all the wolves of north America and what they do. The U.S. Fish and Wildlife Service is the principal Federal agency responsible for conserving, protecting and enhancing fish, wildlife and plants and their habitats for the continuing benefit of the American people. The mission of Western Watersheds Project is to protect and restore western watersheds and wildlife through education, public policy initiatives and litigation. Western Wolf Coalition works with biologists, hunters, ranchers, tribal leaders and other citizens to inform the public about wolf behavior and patterns, and reduce wolf-related conflicts. Our goal? To ensure a healthy, sustainable population of wolves managed responsibly by the states in the same way other game species have been managed for decades. Who Speaks For Wolf is my journey to educate the public on Canis lupus, to promote conservation efforts and to provide protection for this wonderful, misunderstood animal. It is a way for the wolf’s voice to be heard and acknowledged. An incredible website of Dan and Cindy Hartman’s wildlife photography as their studio is nestled right outside the northeast entrance to Yellowstone National Park. Dan’s wildlife journal is a must read as he offers some great accounts of wildlife viewing and encounters! The mission of Wildlife Public Trust Coexistence is to raise awareness of Wisconsin’s wildlife, land and water resources by connecting with like-minded people across Wisconsin. Only awareness can generate change. Through its research and educational efforts, the WSC’s expertise is often sought by international, national, and regional institutions regarding the care, handling, breeding, and ecological significance of wolves. “Learning to Live with Wildlife.” Wolf & Wildlife Studies is an organization owned and operated by Jay Mallonee, and is dedicated to educating the public about the environment. This occurs through ongoing field research of northwest Montana’s wolves, including the nine year study of the Fishtrap wolf pack…..
National Wolfwatcher Coalition is a strong supporter of the WCC! This is an amazing Center as it offers educational classes and wolf viewing, and also serves as a major wolf recovery center for the Mexican gray wolf and the Red wolf. Join Maggie Howell and staff for a complete Wolf Center experience. Dr. Nathan Varley and biologist Linda Thurston’s expertly guided trips into Yellowstone to observe wolves and other wildlife, combined with educational classes. Join them for an adventure of a lifetime. They also offer amazing content and resources on their website! Park native Nathan Varley, Phd, and wolf behavior expert, Linda Thurston, MS, have been tracking and observing wolves since their reintroduction in 1995. They host group and individual wolf watching programs for every season. Highly recommended ! Please visit their website for more information ! The wolves, the moose, and their interactions have been studied continuously and intensively since 1958. This is the longest study of any predator-prey system in the world. Great work is done here presently by Project leaders Rolf Peterson and John Vucetich. The highly successful reintroduction of western gray wolves to native habitats in Central Idaho (CID) and Yellowstone National Park (YNP) is testimony to how well a scientifically-based and carefully executed plan can succeed. The plan unfolded in large, high quality ecosystems that allowed wolves to flourish in the Northern Rocky Mountains, which began with 66 founding wolves with the initial reintroduction, and now estimated to be approximately 1,700. The challenge moving forward is the creation of wolf management plans that are viable, both biologically and politically. A critical issue all plans must address is the overall genetic health of the entire population. In fact, the recovery plan for delisting the wolf of the Northern Rockies required that populations be connected by genetically effective migration so that genes important to adaptation could be preserved and inbreeding minimized. Error: Error validating access token: Session has expired on Friday, 22-Mar-19 12:26:11 PDT. The current time is Sunday, 21-Apr-19 03:23:27 PDT.